This was not the blog post I intended to publish today. It will wait for a few days. I thought you might like to see what is going on in this little corner of the world. In the background are the sounds of sweeping, chain saws, leaf blowing, power sprayers and pumps. The sounds of humans cleaning up. Yesterday started out blissfully domestic for me. Having only returned two days prior from a week away I was baking bread and ironing all the washing I’d done since our return. I’m always happy to have a day at home when I don’t have to go anywhere. Also, we had rain the night before, and I’d taken a few photos of the sun sparkling on the moisture laden plants in the garden. And I worked on the aforementioned blog post, so a nice bit of creativity mixed with domesticity. Despite the predictions, around 2pm I noted that we had not had any rain as yet, and there appeared none on the horizon. By 3.30 my husband rang from his desk at the Uni saying, have a look at the sky toward Mt. Gillen, it’s very dramatic. I said, yes, I’ve just taken a photo of it. Everything had changed and was looking ominous, but no severe storm warnings that I was aware of. By 4pm all hell broke loose. The hail and wind was upon us before I knew what had happened. I had been at the stove, cooking soup for dinner when I realised I shouldn’t be there, near the window. I ran for the hallway, the strongest point in the house. From there I could see the ferocity of the wind and I could hear the hail smashing the skylights in both bathrooms at either ends of the hallway. I was deeply hoping it didn’t smash the windows. We have a lot of double glazed glass. The 90kph winds were driving icy projectiles at a nearly horizontal angle so that they bounced off the glass and piled at the base of the windows or walls, or were carried away in the river of water flowing down our breezeway. There was a large tree at the northwest corner of our property, but it was on the neighbour’s land. Twice before, both times when I was in the house during a storm, huge limbs had broken out of the tree and fallen on our patio and damaged it, one nearly missing the corner of the house. Our neighbour didn’t seem to want to do much about the tree so it regrew. But now virtually the entire tree was laying horizontally across his pool, breaking the fence and damaging tiles and the cover. Certainly that tree will not be bothering us any longer, nor will we get the much appreciated shade from it. Finally, my husband was able to get home from the Uni, through flooded roads that were unrecognisable due to water coverage. He told me one house up the street from ours had water flowing through it! By the time he arrived I had set up buckets and mopped up places where the wind had driven the water through any likely crevices. A rammed earth house is not known for it’s tight fitting joins, but we’d never in 15 years had anything quite like this. The rain and hail came in waves, with a bit of sun peeking through, just to relax us into a false sense of security. Sure enough, both bathroom skylights resembled swiss cheese and there were small hail stones and debris on the floors. But really, if the rain was going to come through, they were the two best places for it to happen because there were drains in the floors, and the tiles had a wet proofing membrane painted on underneath them, so they are likely to dry out ok. Not so sure about the joinery in one of the bathrooms as it seems to have absorbed quite a bit of moisture. After we had cleaned most of what we could, and called emergency services, I got back to making the soup. Once again, I was at the kitchen sink, topping and tailing green beans. I glanced over my shoulder, toward the mountain. In a break from the precipitation the sun shone through. As the warm rays hit the piles of hail and ice, fog rose and an etherial light settled over the whole area. Neighbourhood children came running out from everywhere to play in it. It was as if Mother Nature was trying to make up for the havoc she had just wreaked. Emergency services came about 9.30pm last night to assess the damage, but they said the crews were all so busy it would be a while to get to us. I’m sure there are many people worse off than us so we will wait our turn. They told us there was another storm cell coming. They were right. More hail and more pieces of skylight joined them on the floors, but nothing as bad as the first wave. The plants in the garden that had recovered surprisingly well from the grasshopper plague are now laying in shreds again. My newly planted herb garden has had the shock of its young life. But all in all, we are lucky, and we know it. We await the next surprise Life has in store for us. Cue the dramatic theme from Jaws…da-dum, da-dum… Alice Springs has been in the grip of an invisible threat…the Gidgee. Friday morning we awoke to a smell of very strong LPG gas throughout the house. It was alarming at first, until we realised, outside it was worse. That was the clue. It was the annual invasion of the Gidgee, or Acacia Cambagei. Releasing their odours far and wide these trees always raise comments and pulled faces among the residents; but this particular day, when we had heavy cloud cover and rain to trap the smells close to the earth, it was extra special–as in awful. My plan to have eggs for breakfast was abandoned for something that didn’t require the gas cooker to prepare them. Ugh. In fact, eating itself was almost abandoned, except that I am a hungry girl in the mornings! After breakfast we went into town to buy groceries. There was no escaping the smell as it even permeated the processed air in the grocery store. But outside was worse. We returned home feeling quite bilious. The local ABC radio announcer swears she left a note for her husband before going to work on the early shift to ‘have the gas bottle checked today’, due to the smell! 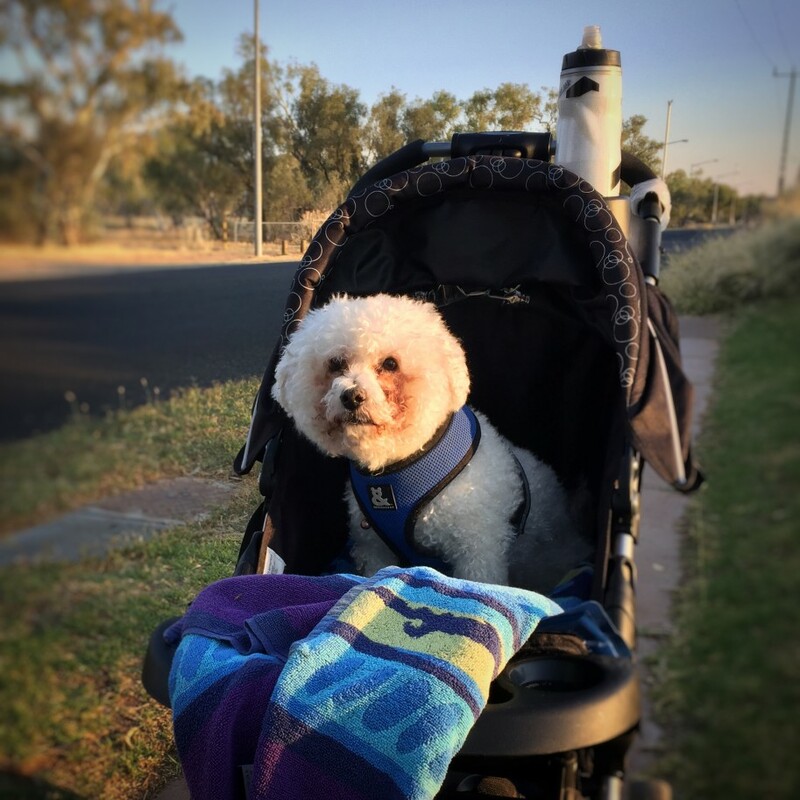 She is new to town and has not experienced the joys of the Gidgee. Nor have most of us experienced it quite to this degree. I pity the poor tourist who has lobbed into town for a few days, wondering why the travel literature did not warn of the smell of Alice Springs! I sacrificed myself to the challenge of locating a Gidgee tree to show you. Smelly though they are, finding one proved difficult, as they are fairly nondescript in appearance. Since they are an Australian native tree I thought my best chance to photograph one would be at Olive Pink Botanic Garden. If I could smell it, I could find it. But it was more difficult that it sounded; in fact, gave myself a headache sniffing it out. I tramped the trails and studied the tree names, pointing my nose skyward like an animal tracking its prey. Sniff, sniff. No Gidgee here. …revealed their droplets of adornment, remaining after the rain and cool temperatures. 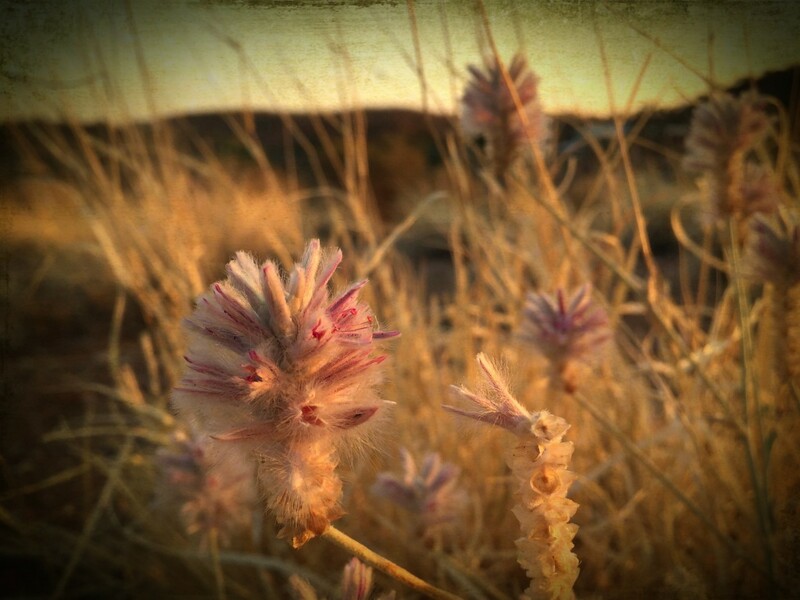 These were rare sights in our normally arid lands. 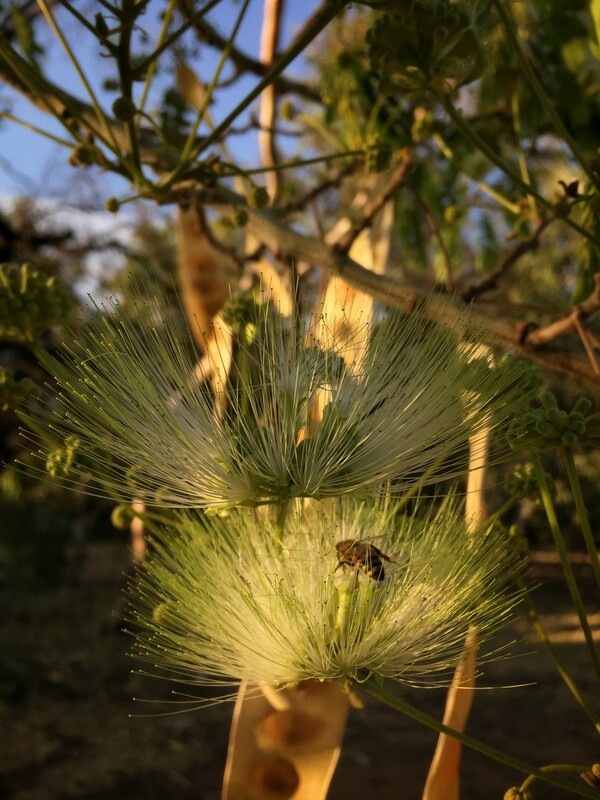 Acacia Cambagei, or Gidgee, or stinking tree! And then all at once ‘ugh’ there it was, that repugnant aroma at once a happy discovery, but also instantly making me sick again. I had sniffed it out–literally. Fortunately the intense smell that blanketed the town only lasted while the cloud cover was low. The now localised aroma was at least escapable. 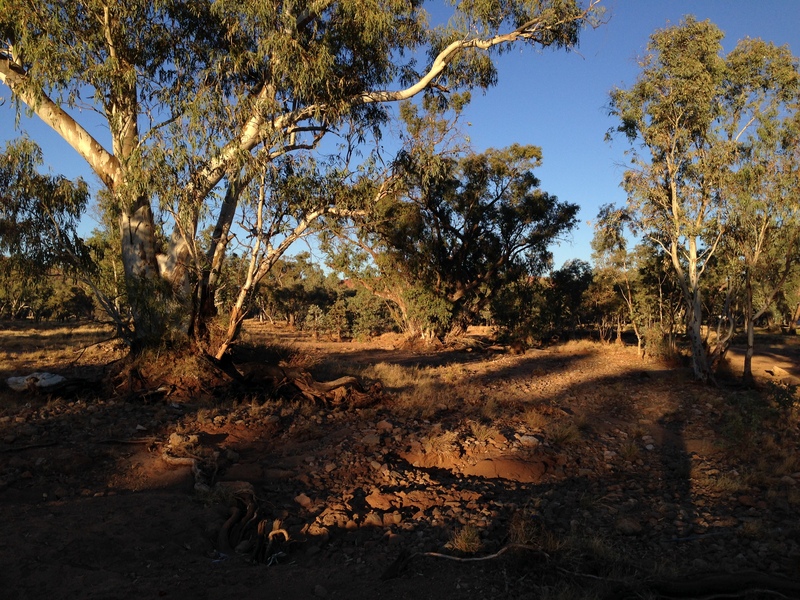 And so I did, escape home to warn you…beware the grip of the Gidgee! Five years ago Don and I visited Granada, Spain to see the Alhambra (so named because of the Arabic name for its reddish walls). 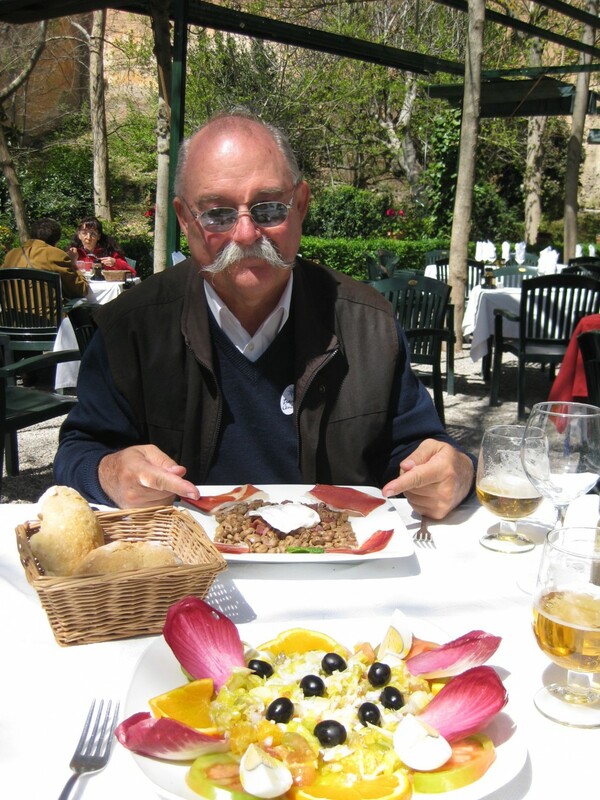 Our very first meal, aside from the Hotel’s fabulous breakfast, was lunch in a cafe adjacent to the Alhambra. It was a sunny spring day and the outside tables were perfect. 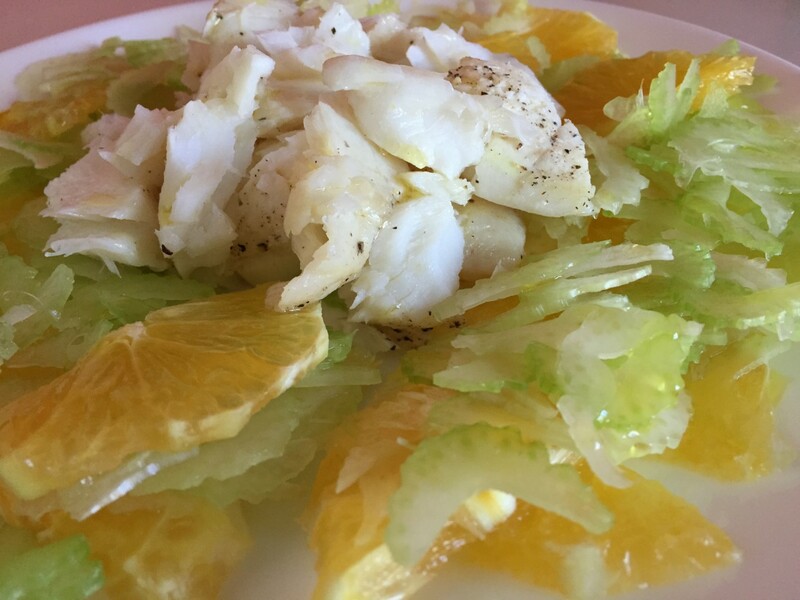 Uncertain about ordering meals, and various food intolerances making the uncertainty worse, I settled on a salad of oranges, fennel and cod. It turns out this is a very Spanish dish and we saw it a number of other times on various travels in Spain. The morning I planned to make the salad I woke around 4am to the sound of the Ghan* train coming into Alice–about 12 hours late! They sound their horn upon arrival, even at 4am, it would seem. We are over a kilometre away from the station but in the quiet of the morning I could still hear it. My first thought was for the poor passengers who obviously had spent more time aboard than they had planned. Part of the Northern Territory adventure, I suppose. Since I was awake early I turned on the heater in the bathroom and while it was warming I snuggled back in bed for a little while. Winter in Alice is quite cold overnight. After showering and having breakfast I decided to do my grocery shopping early, although 9am would not be early in the summer! 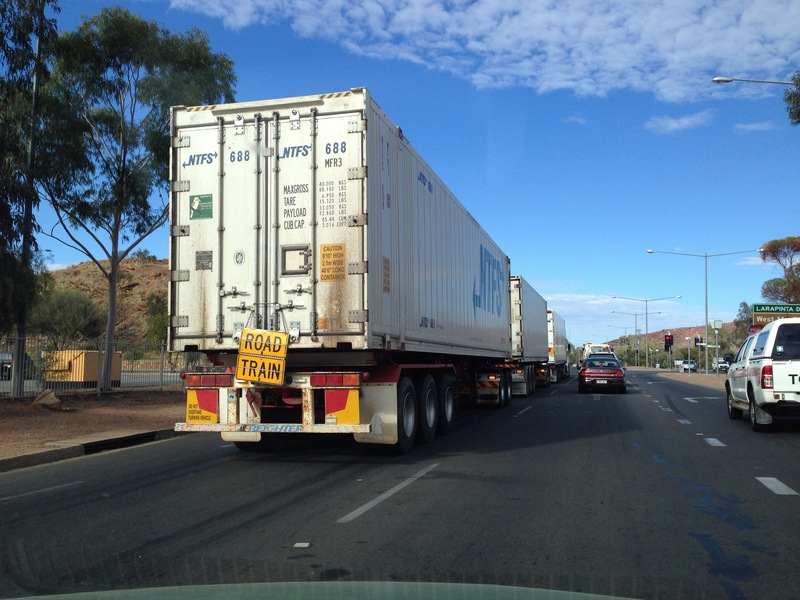 As soon as I was inside the grocery I could see the other problem with the Ghan’s late arrival. The produce section had many vacant gaps, the most worrying of which was the one where fennel is usually kept!! Despite best efforts to keep things on schedule, once in a while the Ghan hits sections of the track that have washed out, or some other difficulty. 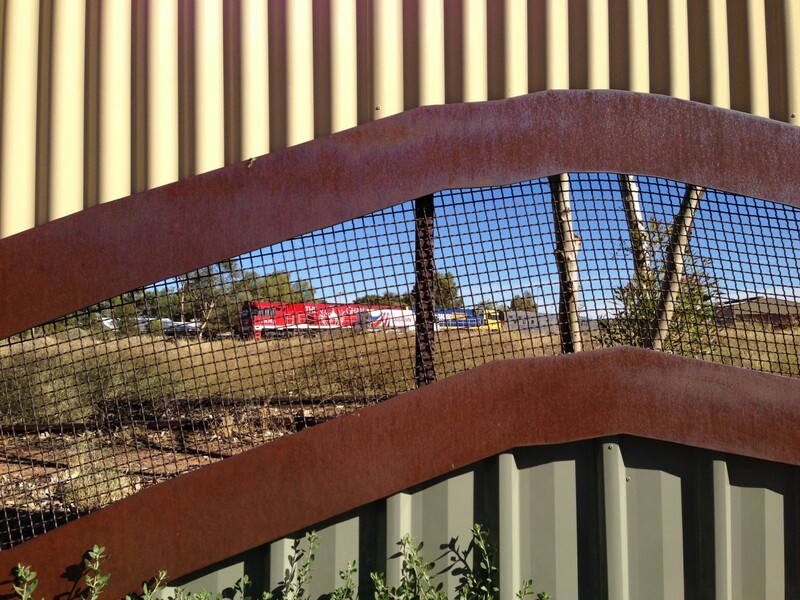 Such is the story of a train that runs through hundreds of kilometres of scrub and bushland. I had bought the fish, and the orange, but what could I do without fennel? Time for some culinary conjuring! Somewhere in the back of my mind I seemed to remember that celery and fennel were from the same genus, though different species, and thinking that sliced very thinly they would have a similar texture, I decided to try celery in place of the fennel. 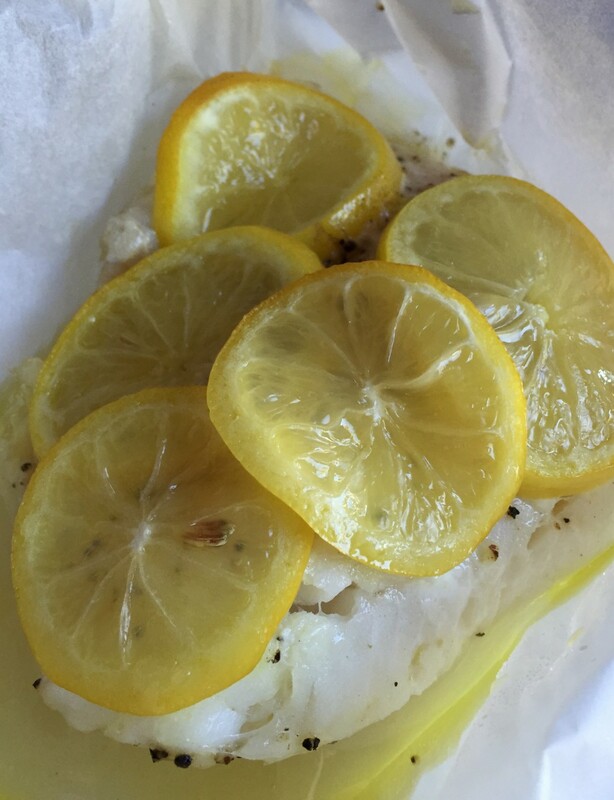 I baked the cod with only lemon, olive oil, salt, pepper and thinly slice lemons on top, tied in baking paper at 165C for about 20 minutes. I let them cool to room temperature because it was a salad. Meanwhile I peeled and sliced the orange thinly and used a mandolin to get the celery slices very, very thin. Once assembled on a plate I added another sprinkle of salt, a drizzle of good olive oil, and a squeeze of half a lemon. The original Spanish dish had thin slivers of red Spanish onion through it as well, but onion is something I’m unable to eat so I left it off. The result was delicious, nevertheless. I thought I had lost the photo of that special lunch, but after making what I remembered the dish to be like, the vast recesses of my grey matter led me to the five year previous photo! Next time I will add the radicchio (if I can find it), eggs and olives, now that I see what my memory had forgotten!! Now you know why I love photos so much! Special thanks to Celia for hosting our monthly kitchen get together. Visit her through the link and find other interesting kitchens around the world. As always, if you tap or click on a photo once, the gallery will appear in a larger form for you to enjoy. Tap or click at the end and you should return to the post. Here’s a little known factoid; many years ago I took a course in airbrushing vehicle designs. As in cars and trucks. Yes. I never intended to actually apply the skills to vehicles, it was just the only course available in Darwin when I first moved there 32 years ago. I wanted to develop my airbrush* skills and so I took the course. In those days, airbrushes were still being used in design and advertising, now it is all done digitally in computers. I had used it in my University studies but needed to advance my skills and no one locally was doing it, so I was having a ‘go’. That experience and my design background are why I have long appreciated high calibre detailing on vehicles. Usually one is not in close proximity when seeing the primo examples. Driving down the highway is not the best way to get good photos–distracting for everyone involved. So when I looked up, I could hardly believe there was a very special tractor (Big Rig) parked on the side of the road near the walking path in front of me. 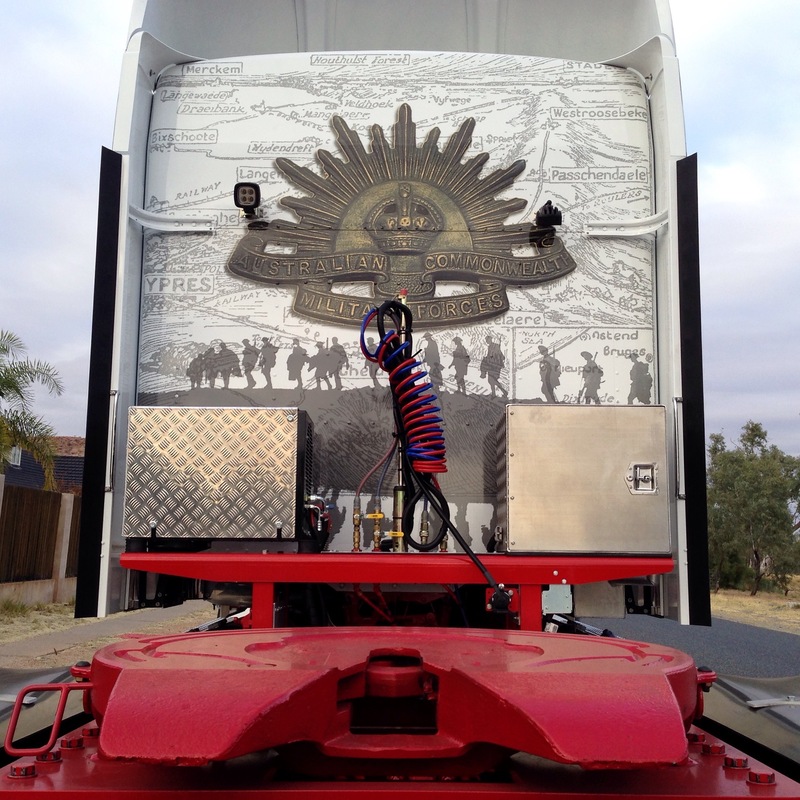 Approaching from behind, what I first noticed was the Australian Military insignia. This being the 100th year of Australia’s entry into the First World War, there have been numerous special observances and I’ve seen it often. The closer I got to the Rig the more fantastic I could see the detailing was. I hasten to add, I don’t believe the design was applied with airbrush, I’m certain it was decal, but it was still spectacular. There were a lot of cars whizzing past, wondering what I was so busy photographing, and then they would see the Rig and slow down to get a better look. It was a dead set traffic stopper. I can only imagine what it would look like with three dogs (trailers) behind! The name ‘Bill Braitiling’ was painted in the design, so I Googled it–as you do these days. Bill was born in Alice Springs and joined the 2nd Light Horse Regiment at the age of 28 in 1915. Fortunately he lived beyond the war and died in Alice Springs at Mt Doreen Station in 1959. The Rig is obviously in his memory and the memory of others in that war. Sunrise is over an hour and half later now than it was when I started my challenge. That means my morning walks are later, otherwise there is not enough light to capture my subjects. 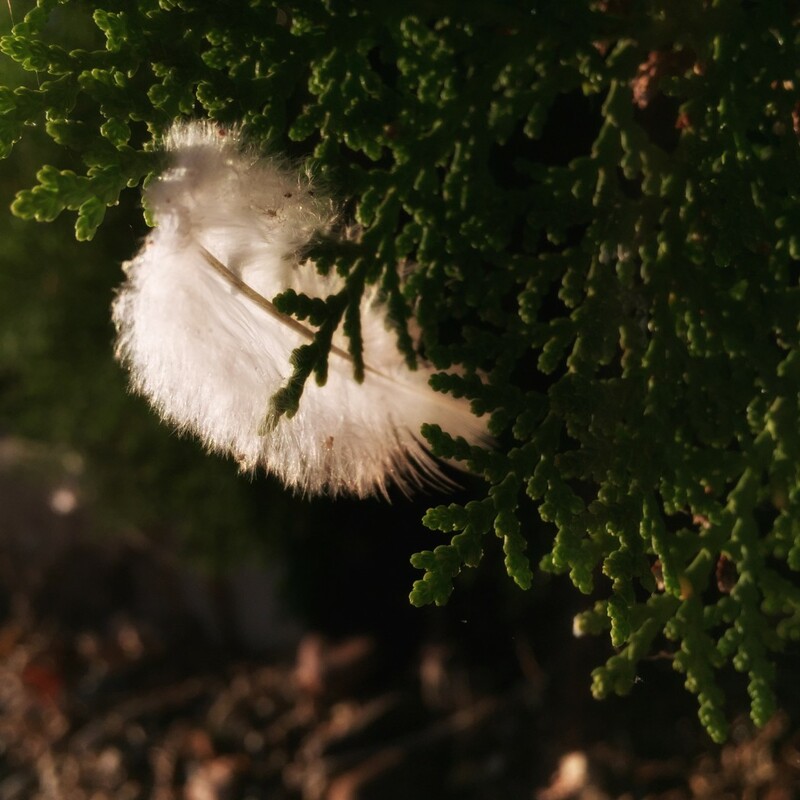 And light is everything with photography. There are problems with walking later. I intersect with people doing other things, like playing golf on the course that is my backyard, and where I take most of my walks! It also disrupts my comfortable morning routine. Things are all topsy-turvy now. It is a confluence of activities, re-creating the flow of my life. Yesterday morning, in order to avoid the golfers, I left the house too early. The sun was not high enough to light the things I wanted to photograph. So I walked farther, to take up some time. This brought me to the Todd River. It lay in its usual state of benign desiccation, still waters running deeply beneath. Nevertheless, there was something pulling me into the riverbed. I realised the siren song was the dramatic light and shadows. They created a different Todd River than the one I showed you a few months ago, at the beginning of my photographic challenge. It was confluence of a different kind, the two sides of the personality of the Todd. Todd River in early morning light. Sock, looking for a shoe. After 23 years, I have also fallen in love, all over again, with the place that I live. The more I photograph, the more I see. Also, the additional walking and climbing, to chase the light, has forced me to become more fit (seriously)–and that is no bad thing! Contributing influences—confluence–where things meet. If a person’s life isn’t this, I don’t know what is.